The great uprising of December 2001 in Argentina brought Carlos Munzer and Philippe Cothoun together briefly before their acrimonious split. The Liaison Committee of Communists (LCC) is an international grouping consisting of the Communist Workers’ Group of Aotearoa/New Zealand, the Communist Workers’ Group (USA) and Revolutionary Workers’ Group (Zimbabwe). 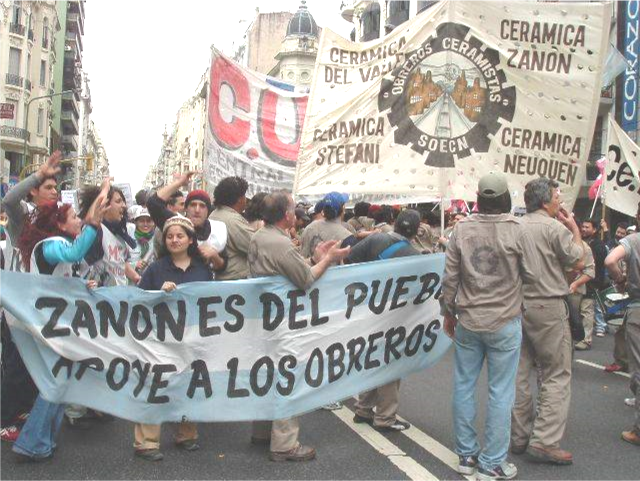 Until March 2010 it was a member of the Internationalist Leninist/Trotskyist Fraction (FLTI), the leading group of which was the LOI of Argentina, led by Carlos Munzer. Socialist Fight had a brief relationship with the FLTI following our revolutionary position on the Lindsey Oil Refinery strikes for British jobs for British workers in early 2009 (see No support for chauvinist, xenophobic strikes in SF No. 2). But Munzer only wanted a branch in Britain and allowed no differences or discussion. When we began discussions with the Groupe Bolchevik of France (Permanent Revolution Collective) led by Philippe Cothoun Munzer demanded we stop at once. We had stuff to learn from them, we felt and refused, hence the break. In fact the FLTI were correct about the pro-imperialism of the group it turned out over Libya and also correctly attacked the SF position on Israel AFTER they had decided to break relations with us and a more comradely intervention would have allowed us to correct our position sooner. In this regard the LCC are totally correct; the FLTI is an appallingly bureaucratic centralist international. “This new imperialist offensive to re-colonize China together with its plan of privatization- has split the Chinese bourgeoisie of the “red mandarins”. One faction is allied through the finances and the stock market to the US-UK financial capital and is for the immediate beginning of the privatizations. The other faction thinks that they could lose the source of their incomes as administrators of the broke state-owned companies. They also fear the Bonapartist Chinese regime’s sure loss of social base -and consequentially that of the CP of the “red businessmen”- in a layer of the working class that still maintains its gains in the state industry (nursery, health insurance, etc.). Russia and China entered the world economy thoroughly ruined. Russia had a brutal devaluation of the Ruble, a restorationist bureaucracy who stole more than 200 billion dollars by making them flee out of the country to the safes of the Citibank and JP Morgan Chase, sharing out the state enterprises while leaning on the cannons of the counterrevolutionary coup of August 1991 launched by the mafia and the thugs of the old restorationist bureaucracy; all that led Russia to backwardness, to a lifespan of 50 years and to wars and genocides like that of Chechnya; meanwhile in Balkans the capitalist restoration was imposed by massacres like in Bosnia and bombs like those of NATO on Belgrade. That Russia in ruins that lost Ukraine, Belarus, Latvia, Lithuania, Georgia, the ex-Muslim Republics where the 40% of oil lies, that is surrounded by US military bases established in those republics, with 49% of its oil and gas managed by the German BASF through that front firm called Gazprom, is called pompously “imperialist Russia”. China that buys raw material and supplies of cereal, agro-industry, minerals and intermediate goods from the world market and in the semi-colonies from the own US, Australian, Canadian, French and England transnationals (that control Africa and Latin America), while financing the US monstrous deficits and foreign debt, and its labor force has been used by the international finance capital to sink the salary of the world proletariat like a comparative advantage is called pompously new “imperialist” power. We are aware that the ‘Spart family’ (the ICL, the IBT and the LFI) regard China as a deformed workers’ state still and we have polemicized against this position in In Defence of Trotskyism No 1. It is true that in that journal we were ourselves undecided as to the nature of China, we never took a hard position and did reprint a piece from Living Marxism that asserted that both China and Russia were imperialist. However the formation of the LCFI and discussions with our Brazilian and Argentinians comrades have clarified our position. We now hold that Russia and China, together with countries like Greece and Portugal and some of the former Iron Curtin countries are neither Imperialist nor semi-colonial countries but countries of Intermediate Development, with features of both imperialism and semi colonies which cannot become imperialist unless the USA suffers defeat in a major war and/or a catastrophic economic decline. We distinguish them from minor imperialist powers like Holland, Sweden or New Zealand or advance semi-colonies like Brazil, Argentina and Mexico. Very important in this definition is Nato and the alliances of imperialist powers under the hegemony of US finance capital and transnational corporations. So we can see that whilst we differ from the ‘Spart family’ and from the Revolutionary Tendency that China is a deformed workers’ state and from the LTFI that it is a classic semi-colony nonetheless in programmatic terms we all agree to defend both Russia and China against imperialist attack. There is the basis for a united front with these forces and others like them on this question. The LCC do not agree on this so there is no basis for a united front with them on this question. This reactionary position had dire consequences for the new LCC. By 2011 and the Nato assault on Libya they were characterising the uprising of the Benghazi reactionaries as a ‘popular revolution’ and Gaddafi as the main agent of imperialism in Libya, which ridiculous position they still defend. This is a total capitulation to Imperialist propaganda, particularly the ridiculous notion that not only was there something called “the Arab Revolution” which was above class, but that it moved forward of its own objective volition irrespective of the leadership that it had and that the counter-revolution was represented only by Gaddafi and not world Imperialism. And why would they have to invade to impose “a new compliant national leadership” when they already supposedly had one? And the notion that the Imperialist-sponsored and CIA directed and funded ITNC was going to “guide the country to free elections and the establishment of a constitution for Libya” is just too silly for words; an idealistic and unachievable aspiration for a bourgeois republic and a two stage revolution. Modesty is not Redrave’s (Dave Brown’s) strong suite. In fact we missed the reference to “foreign mercenaries” above, the lie that was used to justify the wholesale lynching of black African workers who staffed the oil industry from the very beginning and clearly signalled the vile reactionary and racist character of this pro-imperialist counter-revolutionary rebel uprising. The notion that this was in reality an inter-imperialist conflict between ‘Western Imperialism’ and ‘Eastern Imperialism’ (Russia and China) will be contemptuously dismissed by serious Marxists and committed anti-imperialist militants worldwide. The previous two article in this publications and the arguments of the LTFI and Steve Argue rebut this starting point. Then it goes through the turgid rituals of accusing all his opponents of being centrists and not understanding the dialectic. Like the one about Gaddafi being imperialism’s agent whilst they were murdering him above, we must suppose. If you failed to see the logic in that you had capitulated to ‘empiricism and pragmatism’ apparently. We have “materialist roots in the imperialist petty bourgeoisie” unlike Dave Brown (Redrave), the Sociology lecturer (retired) who undoubtedly penned these line. Then it goes on to accuse the LCFI of Healyism with no attempt to prove this and then goes on to assert that the whole LCFI is guilty of ‘national Trotskyism’ for not supporting the USA and its proxy wars in Libya, Syria and Ukraine. 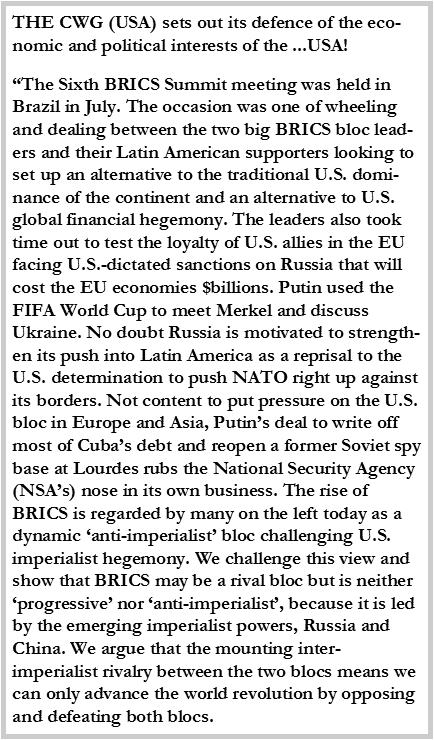 We are “social imperialism, adapting to Bonapartist dictators such as Gaddafi, Assad and Putin as the enemies of US imperialism” whereas the LCC is supplying Anglo American imperialism with its alibies for war against its rivals, we have no hesitation in charging. “For both tendencies national self-determination as a bourgeois democratic right is always ‘progressive’ even if it is a counter-revolutionary ‘democratic dictatorship’ of imperialism” asserts Dave and we categorically refute this charge. This is a correct charge against both the RCIT and the Workers Power international but the LCFI and the SF before it has tirelessly unmasked this wrong position on the three Baltic States, Bosnia, Kosovo, Tibet, the Uigars etc. It is a totally false charge. It is, of course, a complete lie that “the LCFI regarded Gaddafi’s rule in Libya as a genuine expression of self-determination against imperialism” as even a curtsy glance at our statements on Libya from 2011 will show. In fact we polemicized strongly against those, like the WRP (News Line) and the CPGB (ML) who do just that and those like the ‘Spart Family’ that took a neutral position between the Benghazi proxy imperialist counter-revolutionaries before the Nato bombing began. And the notion that the rebels were “fighting Gaddafi as an agent of imperialism” is just too hilarious for words; imperialism was bombing Gaddafi and succeeded in murdering him because he was their agent and they were also sending in special forces, including some 5,000 Qatari troops to assist the rebels who were their sworn enemies because, seeing as they were genuine revolutionaries, what else could decent imperialists do? The poor old confused CIA needs assistance from Dave Brown in New Zealand who could instruct them on how to stop making such silly mistakes! The LCC ‘revolution’, led by the Islamist militias of Libya Dawn, took control of Tripoli in August 2014. 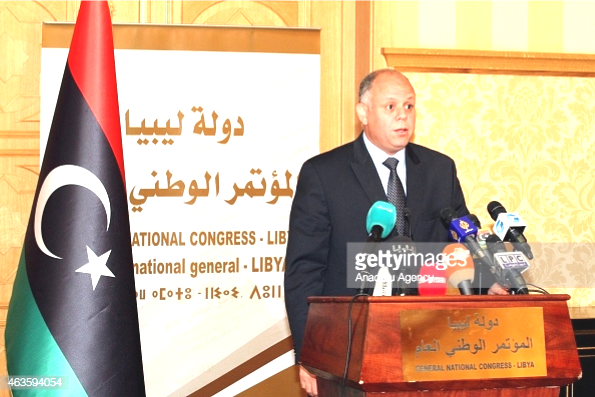 Here one of the leaders of the ‘revolution’ First Deputy President of General National Congress of Libya (GNC), Awad Abdul-Gader holds a press conference in Tripoli, on February 16, 2015. This is a prayer because now something called the “permanent revolution” will soon be “completed in Libya with the revival of the Arab revolution.” We would respectfully suggest to comrade Dave the Permanent Revolution is a programme of revolutionary Trotskyism and not an objective process that can proceed through the medium of reactionary jihadists based in Tripoli with the support of Turkey and the United Arab Emirates. They are just as reactionary as the other ‘revolution’ represented by the CIA asset, the “US puppet Hefter” supported by Egypt and Qatar or that promoted by the ISIS forces there. It is obvious to even the most politically naive person that Nato has destroyed Libya with the support of the LCC and the RCIT, to name just a few, just as it has destroyed Afghanistan, Iraq and Libya and is currently destroying Ukraine. And they have many more wars in the pipeline. But for the LCC these are all “stalled revolutions”. The RCIT took a very good position on the Egypt coup (afterwards, in correction a bad position before the coup) and the LCC an unbelievably bad one. So in the coup perpetrated by Abdel Fattah el-Sisi against the democratically elected Muslim Brotherhood President Egyptian President Mohamed Morsi on 3 July 2013 the LCC not only took no side but positively welcomed it because of the, “millions of workers who marched against it” and “Its removal (what a weaselly word for that bloody coup! – SF) meant that the SCAF was now seen openly as the power base behind the Mubarak regime and that it had always been the dominant fraction of the national bourgeoisie.” This is an absolutely reactionary position. Thousands of poor workers were slaughtered and hundreds have been sentenced to death for the elementary ‘crime’ of defending their democratic rights and the LCC supports this! And all leftists and workers’ organisations suffered severe repression. This is easily the most degenerate and reactionary political position in the whole document, and there are many! In terms of Marxism this is profoundly in error. We have seen above what is the consequences of a failure to defend the democratic rights of workers under a bourgeois democratic system against a coup from the far right military. This opening idiotic statement means we should have no ‘side’ in the Hitler coup in 1933, in the Franco coup in 1936 or the Coronals’ coup in Greece in 1967, for example. The point of course is that a ‘bourgeois democracy’ entails certain democratic rights for workers which military/fascist coups eliminate and we really do have an unequivocal side in that! And no serious Marxist would write that, “nations and the ideology of nationalism are reactionary forces that divide the international proletariat” without distinguishing between the nationalism of the oppressor and that of the oppressed, without supporting the struggles of oppressed nations against oppressing nations without acknowledging that this is the real meaning of Lenin’s imperialism which he tirelessly fought for. Instead Dave Brown turn the theory of Imperialism into its opposite, a Left Communist/Anarchist reductionism this is too cowardly to defend oppressed nations from imperialist attack, regardless of the leadership that they have. In these matters the LCC constantly repeats the mantra that what is needed in all countries is the socialist revolution led by a revolutionary Trotskyist party and we can take no sides on anything unless we have that. They then put forward the Shachtmanite/ Eiffelites line to excuse their failure to defend oppressed nations against imperialist attacks and the democratic rights of the working class against far rights coups in Egypt and Ukraine. “I have read this article and it is excellent. It is the historically correct in line with the principled stance taken by your antecedents under Dov Winter against Workers Power. I have reassessed my own position as a member of the WIL/LTT at the time. However I fail to see why the method here is not applied today to assaults by Imperialism on Libya, Syria and Ukraine and have endorsed that of the ITO, the LCMRCI, the WRP of Greece and your own. I therefore do not see how you can be so right on Bosnia against Workers Power/RCIT and so wrong in agreement with them against Libya, Syria and the Ukraine. There seems to be two CWGs, one which can write that Bosnia document and another which thinks the Gaddafi was the main enemy in Libya and the revolution won a great victory there in alliance with Obama. And can take a third campist position on the Ukraine and fail to see what the Bosnian article sees. We will leave the detailed defence of the political struggle in Brazil to our comrades there except to point out the obvious mistake that the LCC again make by equating the anti-imperialist united front with the popular front. This is to deny that Brazil is a semi-colonial nation, albeit an advanced one. Our Brazilian comrades have used the tactically flexible method of the Transitional Programme to relate to the mass movement’s correct political instincts of anti-imperialism. Brazil’s history of pro-imperialist coups and regimes demands this type of flexibility and our comrades have utilised the Leninist principle brilliantly, maximum flexibility in tactics, unyielding defence of principles. The result of this approach are well known; it is the victory of the Russian Revolution. Now let us conclude with the theoretical arguments the LCC present in asserting that China and Russia are imperialist nations whilst, at the same time, correctly rejecting the Workers Power/RCIT contention that other imperialist powers, South Africa, for example, have emerged since WWII. Apparently this is because the degenerate and deformed workers’ states of Russia and China enabled the development of the productive forces to such an extent that even the restoration of capitalism in these lands was not sufficient to allow them to regress into semi-colonies; they remained Independent Countries (whatever that is). Therefore the process of permanent revolution (that objective programmatic thing that needs not programme or revolutionary leadership) has allowed them to develop as imperialist powers. We consider this to be absolute rubbish. Of course it is not the export of capital alone, although the Russian variety is exported simply for the avoidance of taxes by oligarchs in the main and both export not to dominate markets and oppress countries but to secure raw materials for their home industries. Nor is it monopolies, alone nor is it the political leadership of the regime nor the division of the planet into spheres of influence alone nor is military might alone but the mutual reciprocal relationship between all these factors that makes a country imperialist. And that really IS dialectical comrades of the LCC. We are entirely confident that this document has conclusively proved that you are wrong on this issue on all counts. 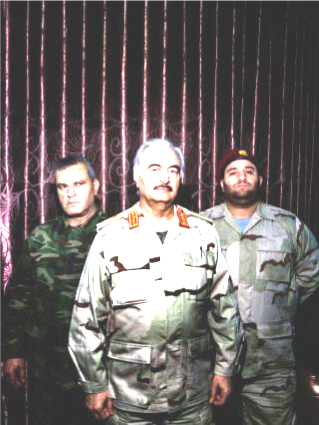 Khalifa Haftar’s army now controls much of the eastern half of Libya. The CIA asset seeks to take over Libya on behalf of the USA in alliance with General Abdel Fattah el-Sisi of Egypt and Qatar. 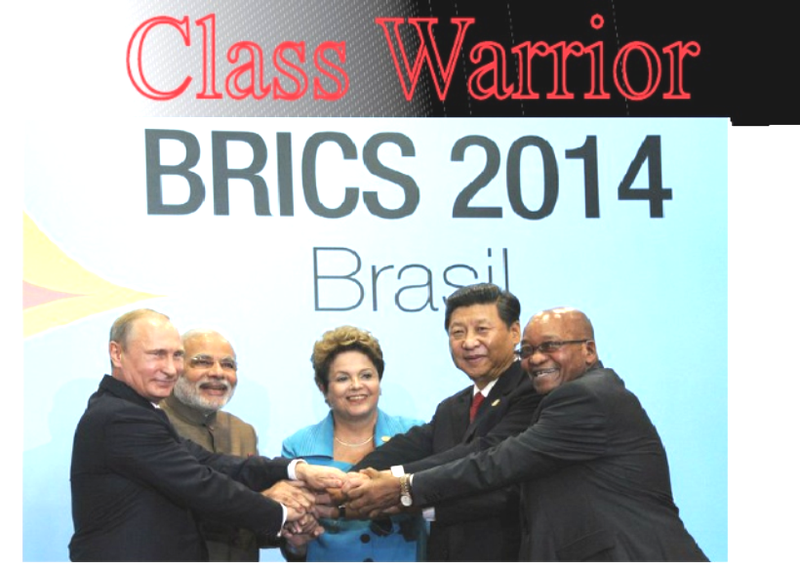 Russia, China, and the Unfinished Permanent Revolution, April 04, 2014. Socialist Fight No.6, The soft left’s foolish illusions in the Benghazi rebels. By Ret Marut 3 April 2011. 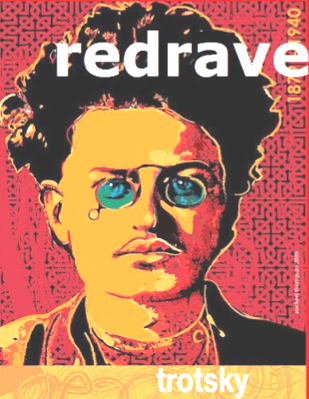 Russia, China, and the Unfinished Permanent Revolution. Workers Revolutionary Party (EEK- Greece), hands off Yugoslavia! Nato, USA, EU get out of Balkans, Athens, 24/3/1999, http://home.igc.org/~itofi/mrfi/wrpgrwarstate.html. Ibid. Comment on the above article. Thanks for your comment.Socialist Fight and our Argentinian and Brazilian comrades will do what we can to further assist you.